A mid-1960s view of Mt Algidus Station from the air, looking north-west. The homestead was situated at the foot of the ranges, at centre right. 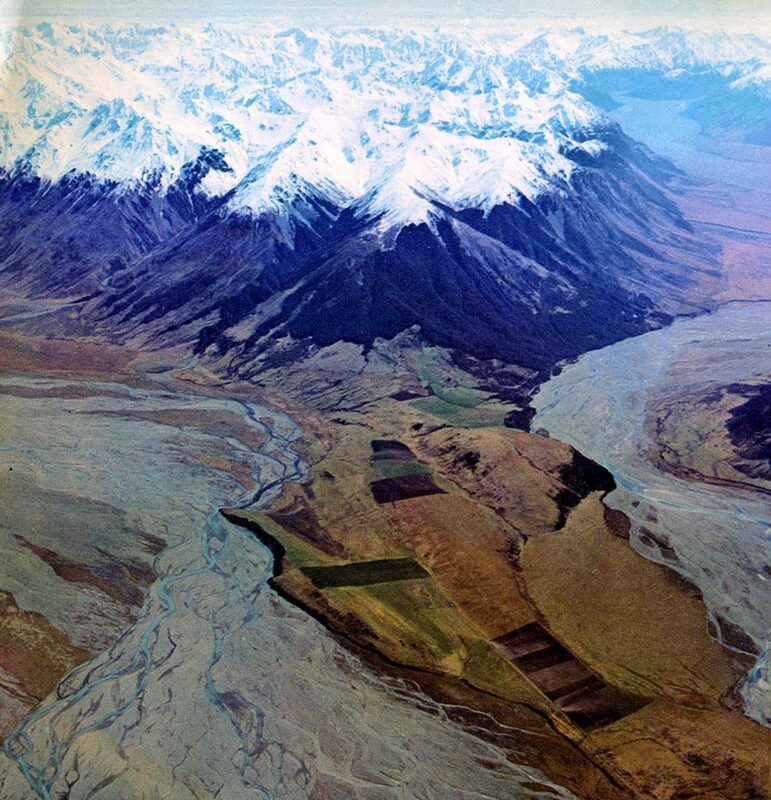 The Wilberforce River threads its way through the right of the photo, with the Rakaia River at left. The peninsula in the foreground was the largest area of flat land on the station.